Manufactured Meat: Lab burgers anyone? In a move that may overcome the cruelty problem of raising and killing animals for meat, Dr Mark Post of Maastricht University and Eindhoven University of Technology in the Netherlands has pioneered the technique of growing meat independently of an animal by the cultivation of stem cells. The pieces of muscle are made by extracting stem cells from cow muscle tissue and growing them in containers in a laboratory. The cells are grown in a culture medium containing foetal calf serum, which contains the nutrients the cells need to grow. The nutrients in the meat itself need to come from another source, Post will use algae to produce the amino acids, sugars and fats necessary to produce a nutritious flesh. 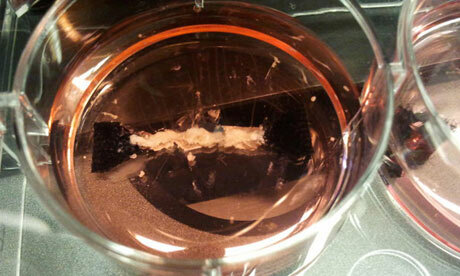 The strips of muscle are cultivated between pieces of Velcro and flex and contract as they develop. To improve the texture of the tissue and make more protein in the cells the samples are periodically shocked with an electric current. From all livestock, cows and pigs are the least efficient meat producers with a bioconversion rate of 15%. Through breeding and feeding, the bioconversion rate has reached its upper limit. This inefficiency provides us with a margin to improve meat production provided we move beyond the traditional boundaries of livestock. 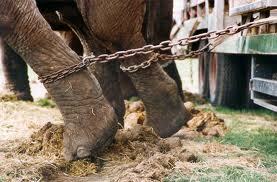 As of 1 July 2010, the use of any animal in a circus has been banned in Bolivia. A handful of other countries have banned the use of wild animals in circuses but only Bolivia has banned exploitation of domestic animals in circuses as well. The Bolivian law, which states that the use of all animals in circuses ‘constitutes an act of cruelty’ was enacted on 1 July 2009, with operators given a year to comply. The bill took two years to pass through both chambers of the Plurinational Assembly, meeting stiff opposition from the eastern states of Bolivia where there was concern that the law would be expanded to include bullfighting, which is popular in rural villages. Bullfighting remains legal in Bolivia. 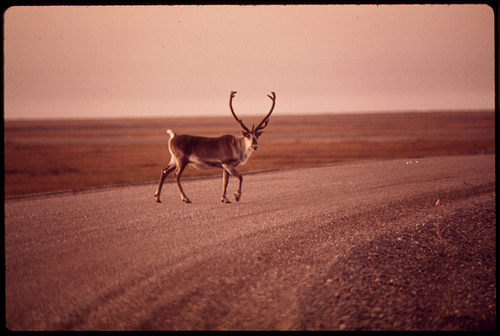 The legislature were eventually won over by a screening of videos shot by undercover circus infiltrators in Bolivia, Peru, Ecuador and Colombia co-ordinated and funded by Animal Defence International (ADI), a London-based NGO which found that ill-treatment and violence against animals in circuses is commonplace. Bullfighting was banned in the autonomous Spanish region of Catalonia on 28 July this year, with the ban coming into full effect in 2012. 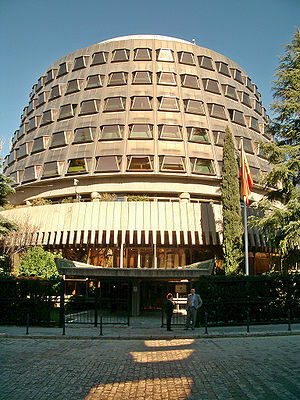 Now, three months to the day later, the Spanish Constitutional Court (housed in a rather Beehive-esque building) has accepted an appeal lodged by the Partido Popular (People’s Party, PP) challenging Catalonia’s ban on cultural, economic and administrative grounds. The PP is a conservative, nationalist party known for such other legislative projects as restricting immigration to Catalonia and deporting immigrants who have not learnt the Catalan language to proposed minimum standards. If the appeal is successful, the Court may overturn the regional ban (I have written in detail on this ban here). However, the Court can take months or years to deliver a judgment.